People come from all over to live in Thailand’s mountain city of Chiang Mai. Besides its own sizeable local population—numbering more than 350,000—expats are increasingly coming here. They come from all over—Australia, the U.S. and Europe. Recent estimates put the number of Western expats living in Chiang Mai at around 40,000. But it’s not just Westerners who are coming. Asian retirees, particularly from Japan, South Korea and China are retiring to Chiang Mai’s relaxing surroundings. And more are coming each year. A Path of Progress is rolling through Chiang Mai—one that has been several years in the making. From a real estate investor’s perspective, this current growth stage is interesting. Northern Thailand’s Chiang Mai is set to become a major regional commercial, educational and technology hub. And smart real estate buyers could profit. I’ve been watching Thailand’s progress and growth for more than a decade…and have put boots on the ground here several times. On my most recent trip, Chiang Mai stood out as the city to watch in Thailand. It’s not only the expat demographic that fuels this city—that’s just a small part of the growth story. Chiang Mai has long had a reputation as a centre of education. It’s a university town, home to about 100,000 students. They’re studying in one of the several universities, language schools, seminaries, colleges and other institutes of education. Though many of those students are Thai, an increasing number are coming from abroad—especially from China. They’re being sent to get a better education than their parents did. Their story is similar to that of a lot of Australians in times past. First, their parents toiled hard to get ahead and to grow their income and status in life. That hard-earned cash gives the next generation every advantage including an elite education. So, those Chinese parents are willing to pay handsomely to give their children advantages they didn’t have. They’re paying for their children to go to university in Chiang Mai. Some are even moving to Chiang Mai for high school education. The strong focus on education makes Chiang Mai attractive to global corporations, too. When global corporations look for regional headquarters, they seek out an educated populace to employ. Just like the one offered in Chiang Mai. And there’s another reason why Chiang Mai is more attractive to global corporations now than in recent decades. Last year was a momentous year for the 10-country group (including Thailand) of Asean (Association of South East Asian Nations) nations. That’s when they rolled out the AEC (Asian Economic Community), a single market designed to encouraged free trade between the Asean countries—similar to that of the European Union. That opens Chiang Mai up to more investment, trade and new industry. New strategic commercial, manufacturing and logistics hubs are beginning to emerge—and Chiang Mai, because of its favourable location, high-class amenities including world-class hospitals and educated populace, is set to benefit spectacularly. Already, there’s a shortage of high-end rentals in areas close to prestigious hospitals, business parks and private universities. This is where a real estate investor could do well. The best way to play this market is to buy a luxury apartment preconstruction. You can buy with a few thousand dollars down and manageable monthly payments. I expect capital appreciation during construction. And double-digit rental yields when you take possession of your condo. I expect you could rent to visiting executives (from Bangkok and elsewhere), folks coming for medical treatments and wealthy students, both local and foreign. 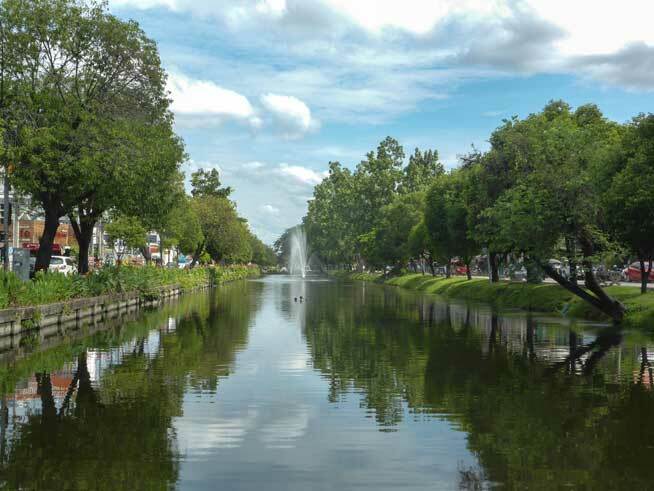 The prospects for Chiang Mai are strong—and a real estate buyer could do well here in capital appreciation and with an attractive rental yield.